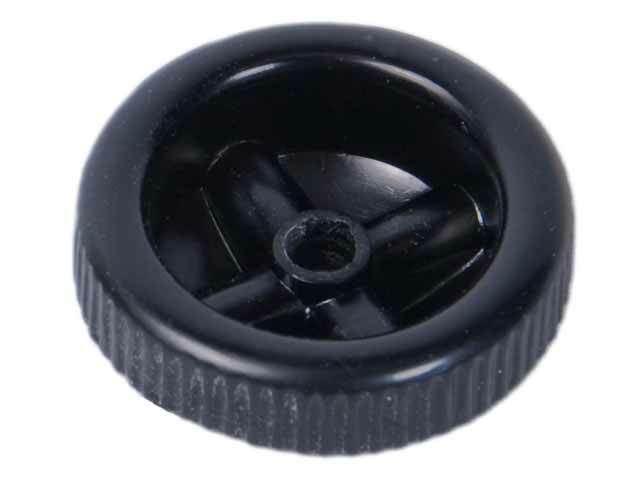 Tuning knob fits 1/4" shaft, secured with 2 set screws. Black color. models: 10S668, 10S669, 12H670, 12H689, and possibly other 8, 10, and 12 tube models. Used in conjunction with K31 black knob. Dimensions: 1-7/8" diameter, 11/16" tall, 1/4" hole.